LARGE PRINT EDITION! More at LargePrintLiberty.com. This monograph is justifiably considered a modern classic. 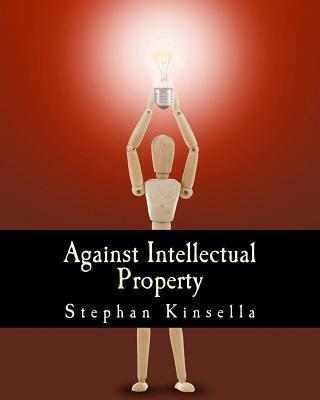 It is by Stephan Kinsella who caused a worldwide rethinking among libertarians of the very basis of intellectual property. Mises had warned against patents, and Rothbard did too. But Kinsella goes much further to argue that the very existence of patents (including copyrights and trademarks) is contrary to a free market. They all use the state to create artificial scarcities of non-scarce goods and employ coercion in a way that is contrary to property rights and the freedom of contract. Many people who read this essay for the first time are unprepared for the rigor of his argument, which takes time to settle in, simply because it seems so shocking at first. But Kinsella makes his case with powerful logic and examples that are overwhelming in their persuasive power. The relevance in a digital age can't be overstated. The state works with monopolistic private producers to inhibit innovation and stop the progress of technology, while using coercion against possible competitors and against consumers. Even U.S. foreign policy is profoundly affected by widespread confusions over what is legitimate and merely asserted as property. What Kinsella is calling for instead of this cartelizing system is nothing more or less than a pure free market, which he argues would not generate anything resembling what we call intellectual property today. IP, he argues, is really a state-enforced legal convention, not an extension of real ownership. Few essays written in the last decades have caused so much fundamental rethinking. It is essential that libertarians get this issue right and understand the arguments on all sides. Kinsella's piece here is masterful in making a case against IP that turns out to be more rigorous and thorough than any written on the left, right, or anything in between. Read it and prepare to change your mind.